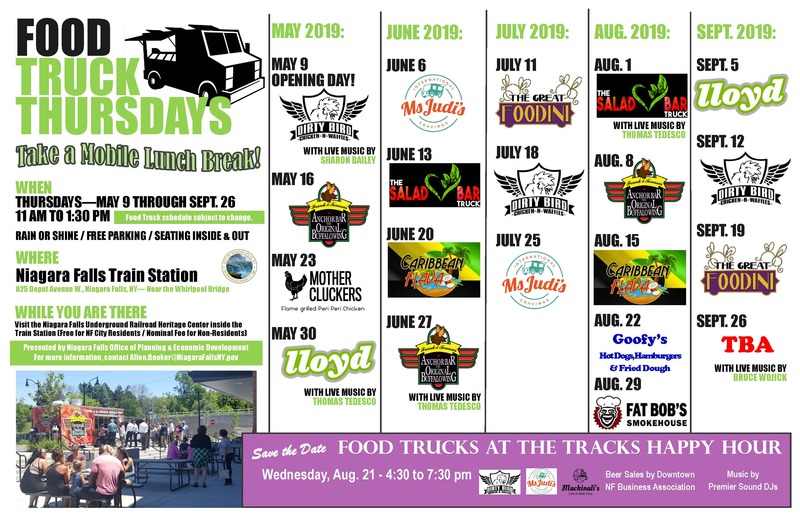 Food Truck Thursdays at the NF Train Station offer local patrons and tourists an opportunity to enjoy some of Western New York’s greatest culinary and musical talents. The season will kick off on Thursday, May 9th from 11:00am until 1:30pm, featuring Dirty Bird Chicken and Waffles with live music from jazz and blues vocalist Sharon Bailey. While you’re there, visit the Niagara Falls Underground Railroad Heritage Center located inside the Train Station. Membership is free for City of Niagara Falls residents!